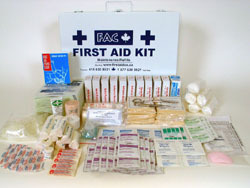 FAC First Aid does not supply kits to this minimum standard. All of our kits exceed the regulations by a large margin, and yet our prices are in line with the basic kits. 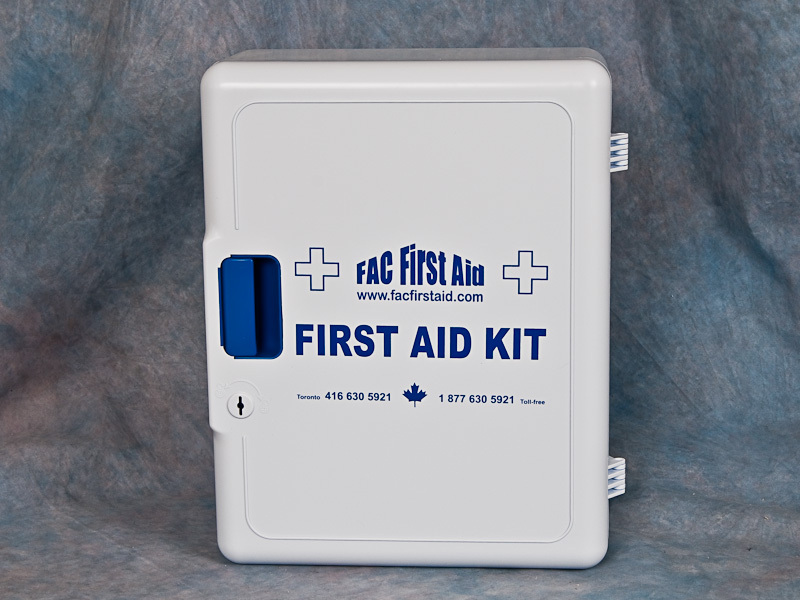 The kits we supply contain First Aid products that we ourselves would put in our own facilities  why should our customers settle for less? We are now shipping this kit in the new Plastic Maxi Box which is a bit bigger, better organized and has a lockable latch. If you prefer the metal #2 box (upper picture), please request it in the comment field on the order form. The metal box is better in harsh environments such as on-board in fire vehicles, etc. Our opinion is that this kit is adequate for a medium-sized office. For larger facilities or where the public is regularly present, the employer should move up to the CLC-CD kit.